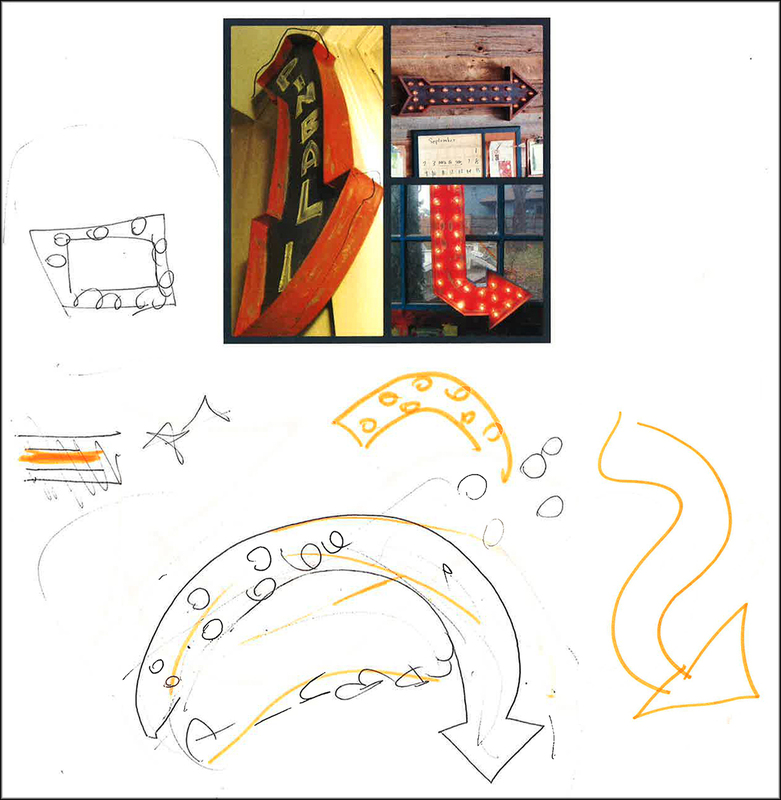 After some verbal brainstorming to clarify the concept, the next step was to draw the sign as it would look when completed. 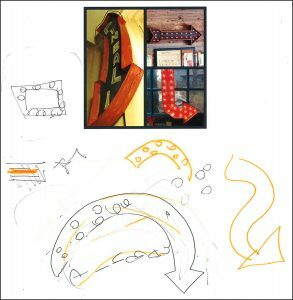 After a few revisions and modifications to the original design (stars were initially included on one side, but were replaced with pinball bumpers), the drawings were finalized. Next, the lighting and decorative elements are added. 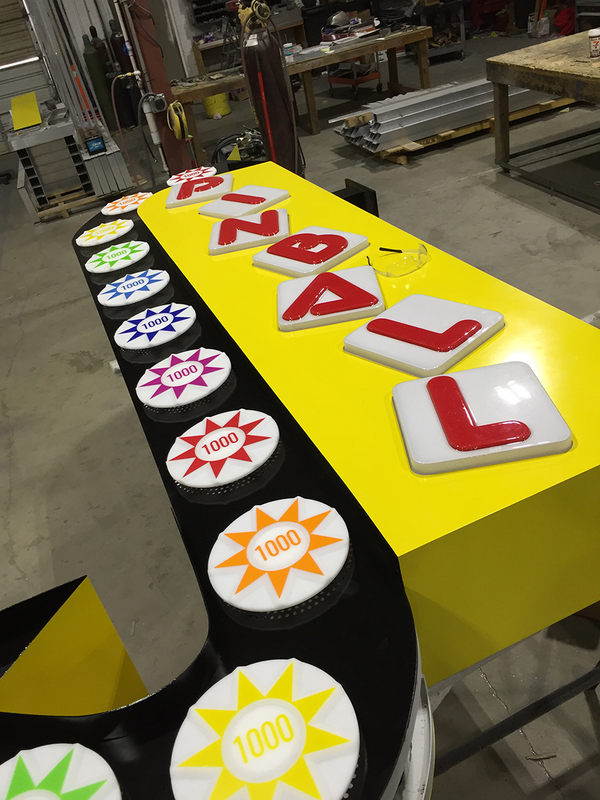 This sign uses incandescent lighting, Flexibrite LED tubing, illuminated push-thru letters, and backlit thermoformed letters. The wiring and controllers for the flashing components are also installed at this time. 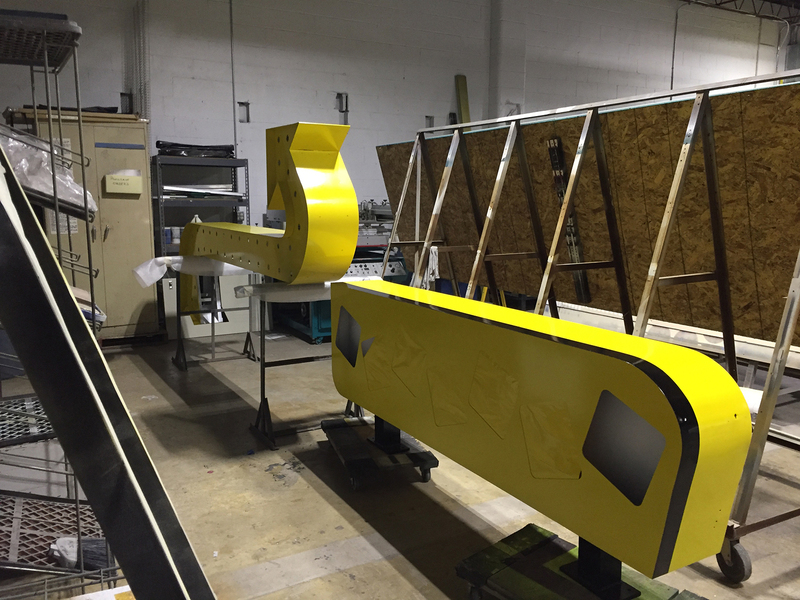 With all of the construction completed, the sign is ready to be installed. 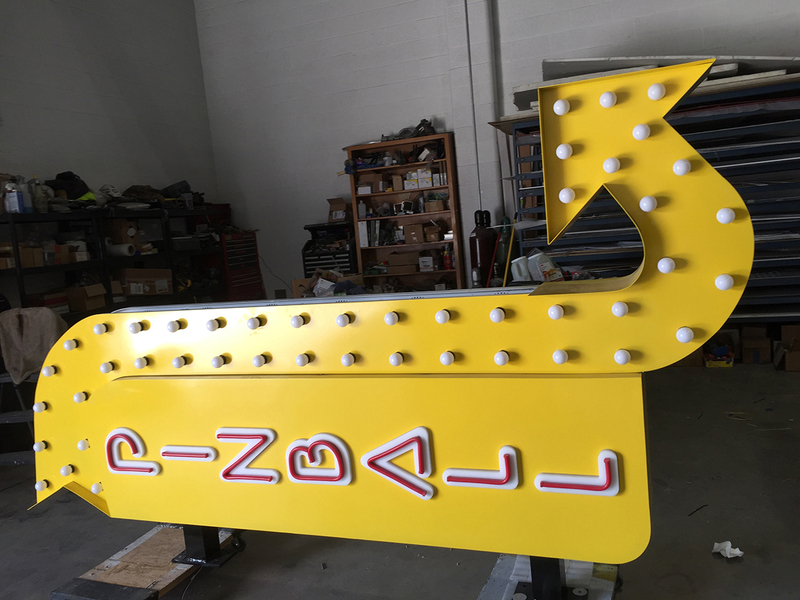 This sign is about 10 feet tall and 2 feet wide, and required a crew of people to hoist it into place, make the electrical connections, and attach it to the steel I-beam in the showroom. 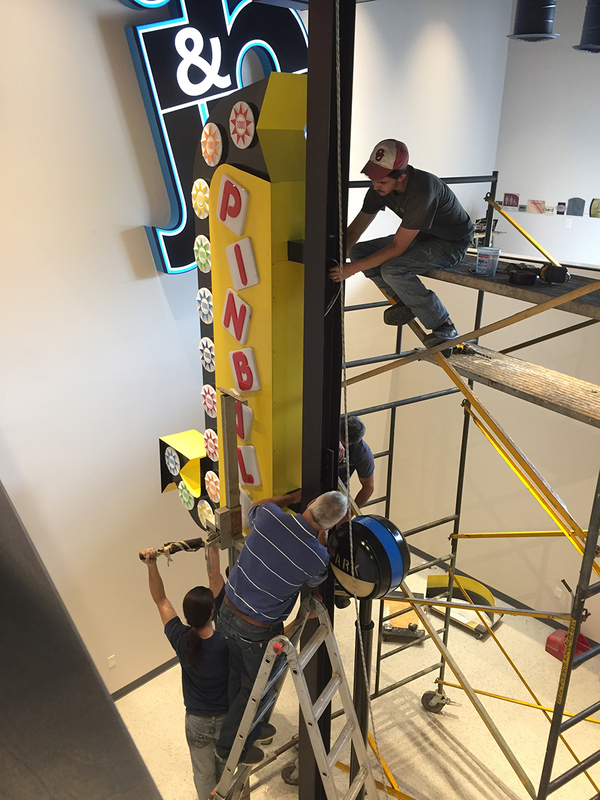 The final touch is a digitally printed background on one side that looks like a classic pinball game layout. 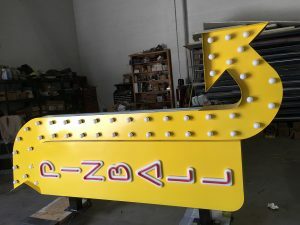 Finally, the completed Pinball sign is lit up and in motion! 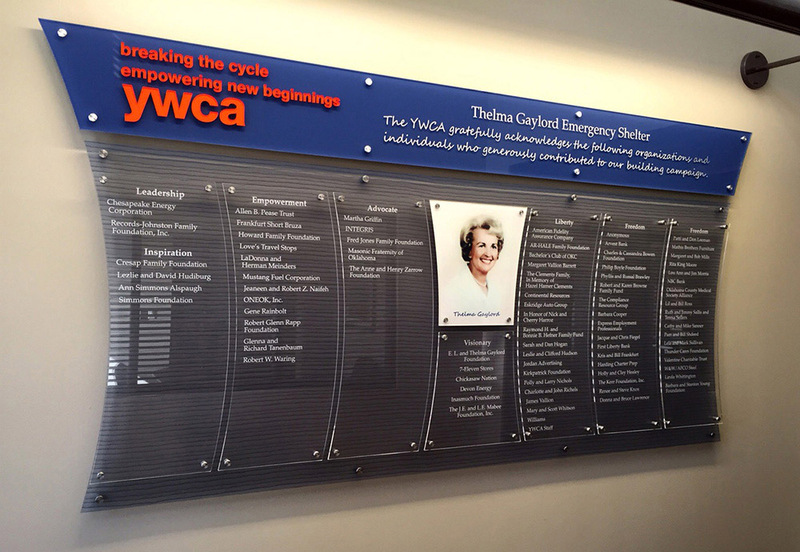 J&B Graphics is proud to have produced the donor plaque for the YWCA’s emergency shelter expansion (click on the photo for a larger view). 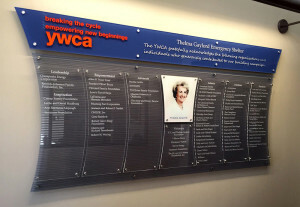 This facility doubles their capacity to provide a “safe haven” shelter for women and children who are victims of domestic abuse. See the article and video from newsok.com for details. 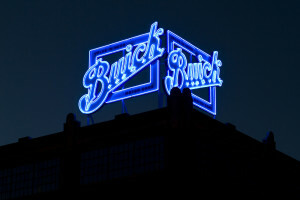 In March of 2014, J&B Graphics created and installed two huge, neon-enhanced signs for the historic Buick building at 1101 N. Broadway in Oklahoma City. KFOR news featured the installation of the signs in a news report focusing on the revitalization of Automobile Alley.